by Matthew Lee, our street food and all-things-hipster specialist in London. London once had a lousy reputation for food, but then something changed. Perhaps it’s due to TV chefs such as Gordon Ramsay and Jamie Oliver bringing fine dining to our living rooms. Or maybe living in a city where over 300 languages are spoken has helped our conservative English palates discover there’s more to life than fish, chips and soggy pies. Somehow, against the odds, London became a culinary powerhouse, a serious rival to Paris and New York. But then, in 2008, the world economy collapsed. How could a city of obsessive but financially-challenged foodies get its fix? Easy. We took to the streets. 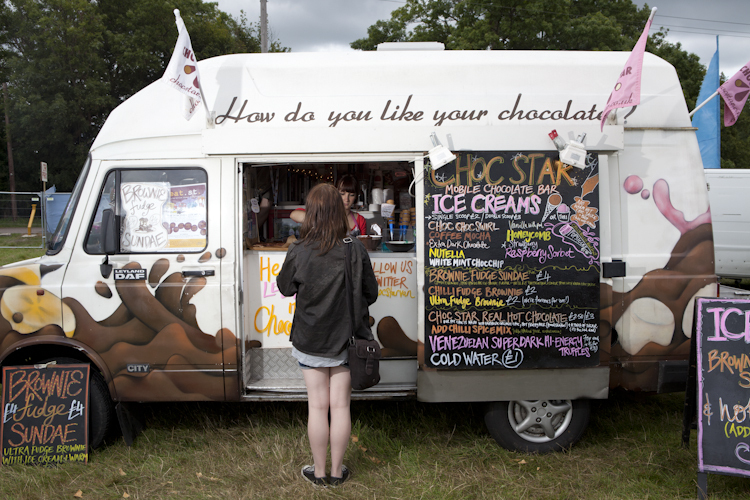 We found a food truck formula perfected in New York and Los Angeles – no rent, low overheads, high-quality ingredients – and applied it to the roads of London, rain or shine. And this being England, it’s usually rain. Borough Market is London’s most famous food market but – whisper it – it’s a tourist trap. Instead try the lunch markets at St Pancras, Leather Lane and Whitecross Street. And travel to the local markets in Brockley, West Norwood and Clapton. Or head to tourist-free East Ham, Brixton or Wembley for the the real deal – fantastic Indian, Pakistani and South American stalls. 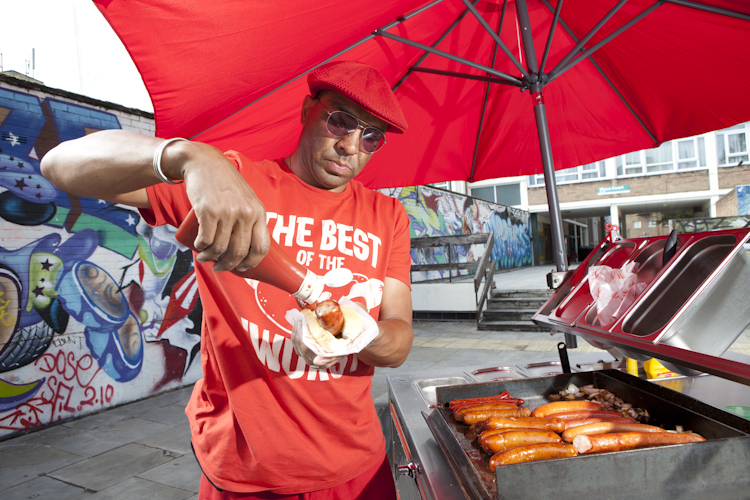 The daddy of London’s street food scene keeps getting bigger and better. Walk here on a Sunday lunchtime and the options are daunting. You’ve got the Bangladeshi cafes and the Jewish bakeries, the vast UpMarket and the eclectic Boiler House Food Hall, and dozens of alluring food stalls in the spaces inbetween. Last time I walked down Brick Lane I found over 30 cuisines – if you’ve never tried Lithuanian, Burmese, Congolese or Venezuelan food, here’s your chance. Never let it be said that the guys at Street Feast London couldn’t organise a piss-up in a brewery. On Friday evenings this summer, the Camden Town Brewery is hosting some of the city’s best street food stalls. Expect to find the likes of Horn OK Please (Indian street food), Big Apple Hot Dogs, Kimchi Cult (Korean-style burgers), Buen Provecho (Mexican tacos) and Speck Mobile (authentic Austrian). Take a seat on their sunny terrace under the train tracks and wash it all down with some of the best beer you’ll find in the UK. Broadway Market is hipster central at the weekends, but don’t let that put you off visiting its excellent food market. It’s a great place to pick up bread, cheese, meat and booze for impromptu picnics in the adjacent London Fields, and it’s also home to some fantastic street food. The burgers at Lucky Chip (round the corner at Netil Market) and the Vietnamese baguettes at Banh Mi 11 are highly recommended. Previous Previous post: Have a Gay ‘ol Time at Pride!